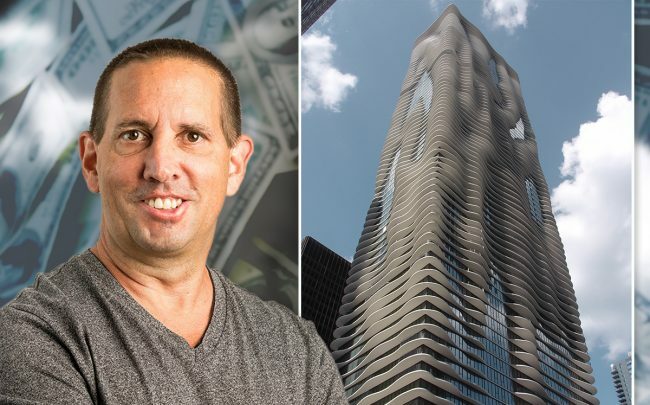 UPDATED, April 5, 4:50 p.m.: An Ares Management fund bought JPMorgan Asset Management’s majority stake in the rental portion of Aqua Tower, the wavy Jeanne Gang-designed building that presides over Magellan Development Group’s Lakeshore East district. The fund paid nearly $190.5 million for the stake in the building, according to Cook County property records. Magellan held onto its partial stake. The 86-story tower has 474 apartments and 224 condos above the 334-key Radisson Blu Aqua Hotel. All three sections of the tower are owned by different entities. The new ownership venture secured a $144.9 million loan on the rental portion of the property from HFF, records show. Magellan President David Carlins signed on behalf of the borrower, an entity called Aqua Chicago Property Owner LLC. Magellan and JPMorgan hired JLL in September to market the apartments. The bank’s asset management arm had paid $182 million for its majority stake in 2010, according to the Chicago Tribune. Representatives of Magellan, JPMorgan and Los Angeles-based Ares all declined comment on the sale. Completed in 2009, Aqua is the tallest operating tower in Lakeshore East and the ninth-tallest in the city. But it will soon be overtaken by the 101-story Vista Tower, which is set to open late next year. Canada-based shopping mall developer Triple Five reportedly was close last year to buying Dalian Wanda Group’s majority stake in Vista, but backed out. In October, Magellan won approval to build four more towers in Lakeshore East. Three will be co-developed by Lendlease.